Looking for a simple dessert? 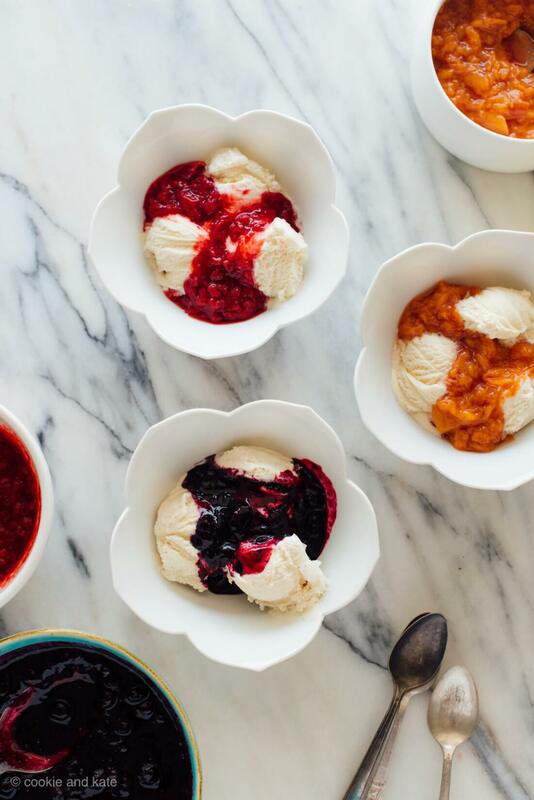 It doesn’t get easier than fruit compote over vanilla ice cream. Compote is fresh, saucy and sweet, and ready in as little as 15 minutes. You can make compote ahead of time and warm it up or throw it onto the stove after dinner. Serve it on ice cream for dessert, yogurt or toast the next morning, or anything else that could use some fruity flavor. You really can’t go wrong. What is compote, exactly? Compote is a simple fruit sauce made with pieces of fresh (or frozen) fruit and some sugar, cooked briefly on the stove. You could call the end result a textured fruit sauce or chunky fruit syrup. I call it magic. Instead of sugar, I use a small amount of maple syrup or honey to make naturally sweetened compote. Since it’s liquid, you can easily add more to taste after cooking if your compote isn’t quite sweet enough. Compote is not as thick as jam or jelly, and it’s meant to be consumed relatively soon after making (it will keep for up to 2 weeks in the refrigerator). It’s not designed to be canned or preserved for the months or years ahead. Compote is so easy to make that you can throw together a batch at a moment’s notice! 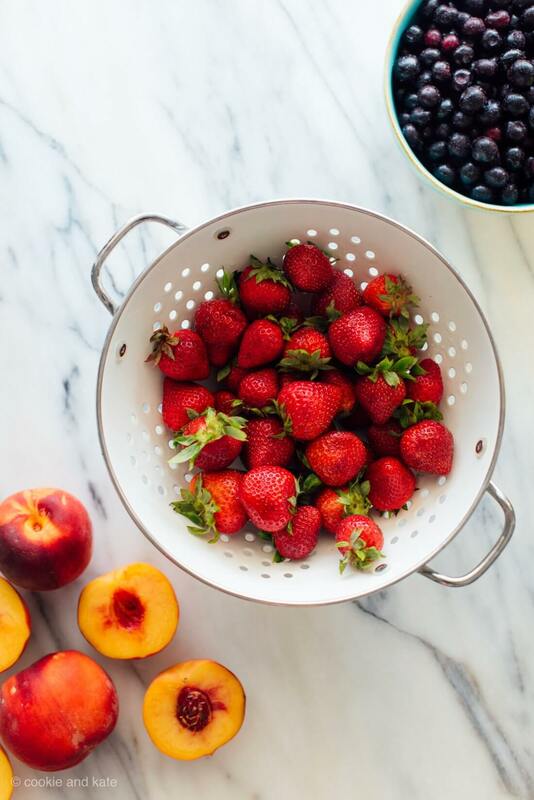 The post Simple Fruit Compote appeared first on Cookie and Kate.